VERSION 3.6 now available for Joomla versions 1.5 to 3.x! The PRO version of the popular "Simple Image Gallery" extension by JoomlaWorks redefines the way we add image galleries inside Joomla articles. NEW in version 3.6: backend component that simplifies image gallery management, WYSIWYG editor plugin to manage galleries from within your Joomla article, K2 item or Virtuemart/HikaShop products. Joomla 1.5 to 3.x compatible, 10 amazing gallery layouts (themes), 11 popup engines (nearly all responsive), Flickr Set embedding. to K2 for your image galleries! Already a customer? Download updates! Frontpage SlideShow creates an uber cool slideshow with text snippets laying on top of images, in a variety of templates and combined effects. It allows you to create multiple slideshows within your Joomla website (in different pages or even on the same page), comes with 9 uniquely styled templates (responsive versions included), a powerful jQuery based slideshow engine with crossfade & carousel based transitions, text effects, statistics and can retrieve content automatically from Joomla articles/menus, K2 items and Virtuemart/HikaShop products! Already a subscriber? Download updates! New version now fully responsive! SocialConnect allows your visitors to easily connect to your Joomla site using their favorite social network - Facebook, Twitter, Google+, LinkedIn, WordPress.com, Microsoft/Xbox, Disqus & many, many more. But it's not just that - it brings a whole new meaning to the word "community" for Joomla and it's a perfect companion to e-shops and forums. Make it easier for your users to engage with your Joomla site! Learn more and see demos! Facebook & Twitter, new social networks added! Joomla 1.5, 2.5 and 3.x compatible! 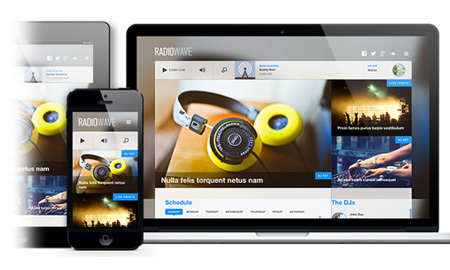 RadioWave is a feature-packed, responsive Joomla template designed for online radio stations and music portals, with built-in support for Radiojar, a popular web based service that lets you easily setup and manage your online radio station. The player and radio specific features can of course be adapted to work with any streaming player or provider. Learn more and see the demo! Joomla is an amazingly simple platform to build websites on. Shouldn't Joomla templates be simple too? Wave "adieu" to over-complicated, under-performing Joomla templates and frameworks. Say hello to a new range of premium responsive Joomla templates that just make sense. 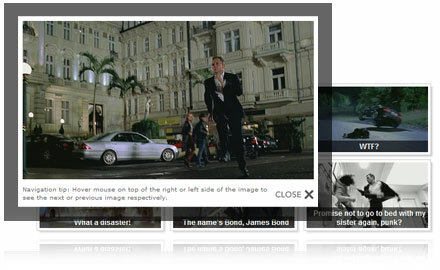 The easiest, most flexible gallery extension for Joomla. NEW VERSION 3.6 OUT NOW Joomla 1.5 to 3.x compatible! The first & still the best slideshow system for Joomla, powering thousands of sites. NEW VERSION 3.12 OUT NOW! 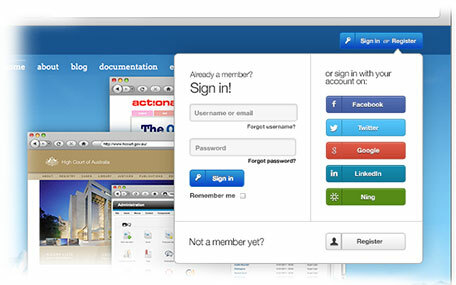 Make it easier for your users to engage with your Joomla site using their account in popular social networks! v1.9.0 RELEASED! 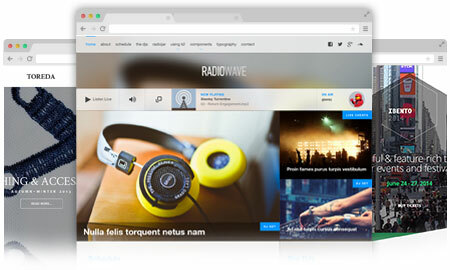 The most versatile web radio Joomla template you've ever used! A new range of beautiful responsive Joomla templates that just make sense. on Saturday, 22 December 2018 17:49	I'd like this but I stopped using antisocial media. So... LIKE! on Wednesday, 10 October 2018 15:39	A good idea for a next version is to add a way to sort images (right now they get sorted only by filename). on Tuesday, 18 September 2018 12:56	There are a few designs we have already but we're waiting for Joomla 4 to launch first to (honestly) skip any migration pains inbetween. Since 2006 we have developed & released more than 30 extensions for the Joomla CMS, all of which have been used in hundreds of thousands of Joomla websites across the world. By the end of 2018, our extensions had been downloaded more than 9 million times, with our flagship extension K2 surpassing 3 million downloads! Innovation and the open source philosophy are the two things that motivate us!